Steve Sanderson is the Chief Executive Officer for Wellington Airport and he has been in that position since February 2012. Prior to Wellington Airport, Steve was the CEO for Queenstown Airport for 5 years. 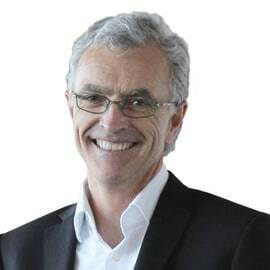 Steve has predominately a career background in infrastructure businesses including General Manager NZ/Australia at Powerco Limited, and General Manager at Lyttelton Port Company and he is currently a Director of Pioneer Generation and Port Nelson. Prior to Queenstown Airport, he spent 3 years as CEO for Dynamic Controls a US owned company, which is listed on the NY stock exchange. Steve is a graduate of Monash University, Melbourne.